American folk rock legend Stevie Nicks became the first woman inducted twice – having already earned a spot in the rock pantheon as a member of band Fleetwood Mac – during a gala concert at New York’s Barclays Center in Brooklyn to celebrate the seven 2019 honorees. The inclusion of Jackson — whose socially conscious, sexually provocative and eminently danceable tracks made her a household name in the 1980’s – comes as the Hall of Fame increasingly expands its definition of rock to include the likes of R&B. Her synth-driven sound came to define the cutting edge of New York’s club scene in the late 1980’s. British sensation Harry Styles inducted Stevie Nicks – whose poetic vocals and bewitching stage presence have made her an inter-generational rock legend. 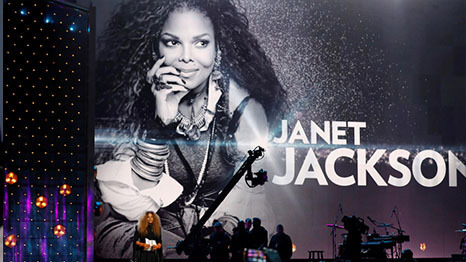 The post Janet Jackson, Radiohead, The Cure enter Rock Hall of Fame appeared first on SABC News – Breaking news, special reports, world, business, sport coverage of all South African current events. Africa's news leader..